Like many industries, the automotive branch wants – and needs – to empower their customers with more online services. So, when Volkswagen decided to offer the new Volkswagen up! 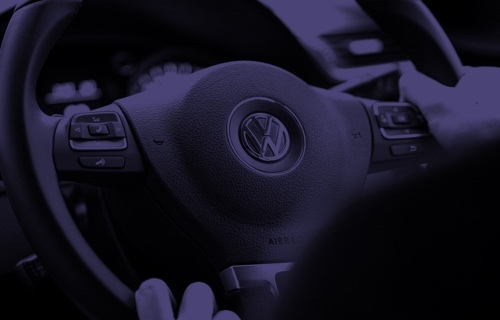 online, for the retail price, Volkswagen Netherlands took a broader perspective; they set out to enrich their online channel with a private leasing opportunity. Their biggest challenge was to get the job done within the three months before the new up! was released. And together, we made this ambition a reality. It is a fact that the internet pushes the point of sale more and more towards the customer. Enabling them to get all the information they need to make a purchase decision online. For an automotive company this means creating a bulletproof application, that provides customers with all their options. Is it possible to get this brand, this model, in this color and with these options? Can I finance it the way I want? What will it cost exactly and how soon will it be delivered? BetterBe Leasing Services (BLS) is the foundation for the exact application for this customer centric approach. Customers who set out to buy a car that meets all their needs, often find that the retail pricing exceeds their budget. They can however, be triggered by offering them an attractive private leasing alternative. Volkswagen Netherlands knows this and wanted their target group to be equipped with all the possible options when choosing a car. This meant creating a consortium with their leasing partner Volkswagen Pon Financial Services, and the eight partners needed to achieve their goal. Our contribution was twofold; coordinating the correct interpretation of complex car data for all parties involved and securing correct private leasing prices by the BLS. This enables customers to select all their preferences and immediately calculate both the retail and private leasing prices. A fairly complex project that could only succeed if we delivered on time and without ‘teething problems&CloseCurlyQuote;. Due to both the experience and enthusiasm of all participants, we could keep a tight grip on the development and were live within three months! The automotive industry is moving more and more towards providing the perfect mobility solution. The driver is our champion and we want to put them first. Eliminating obstacles in the decision making process, means customers are more satisfied with our services. By focusing on the client and creating technical possibilities, BLS gives the automotive industry all the right tools for driving into the future.